This one is purely for techies â€“ those who will enjoy coding to solve a missile defence puzzle or challenging a colleague in an online skills test. Gild.com is a global online community for developers that combines evaluation of skills with online contests, sponsored by the likes of Sapient, Oracle, Sasken and eBay. Gild recently announced that it had closed a $2.4 million round of funding, led by Globespan Capital Partners. 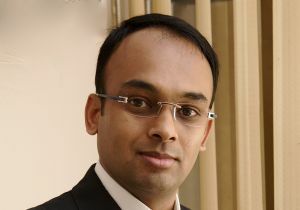 In conversation with Techcircle.in, Manjunath Ramesh, MD â€“ India, Gild.com, discusses what makes Gild different, its monetisation model, upcoming features and growth plans. What is Gild? Why would a developer join Gild? There are different places on the Web where developers can learn things, code and collaborate. At Gild, we bring all these features onto one platform. Gild is not a job portal, though â€“ it is here for developers to build apps and compete with other developers. They get points and badges, and also win some exciting prizes. It is a learning platform while those who take part also have fun. If I am on Gild, I can build my profile, learn a lot and evaluate my expertise regarding various technologies. What are the activities happening on Gild? There are various challenges that engage developers in a fun way - technology-based quizzes and contests. We have a feature called Face-off, where they can invite other tech professionals and compare their skills with peers, colleagues, batch mates or other tech gurus across the globe. How is Gild different from other groups and networks? Other sites are for networking and all about relationships, but there is no one talking about skills. Gild is focusing on that area â€“ it's not about whom you know but what you know. And that is our unique proposition. How many of the members are from India? We have a total of 0.5 million members. Considering that we have started from India and focused on India so far, a majority of the developers are from here. I would peg it at 82 per cent. Currently, 60 per cent of our traffic includes new users and 40 per cent is a repeat user base. How do you monetise the network? It is primarily monetised through sponsorships of prizes â€“ that is our only model at this point. But we are now focusing on adding value and engagement. How were you funded before raising the venture capital round from Globespan Capital Partners last month? We were funded privately and will not be able to share any further information. However, this is our first venture capital round. How will you utilise the $2.4 million in new funding? We have headquarters in Silicon Valley and an office in Bangalore, and we will continue to expand our operations rapidly. Plus, we have 70 employees now and it will reach 100 by next year. We will also develop our own technology by bringing in more features and tools, which will be a value-add for our members. Till date, we have mostly invested in technology and we now plan to introduce coding challenges and smart puzzles. Can you share your revenues or projections for the next fiscal? Do you plan to introduce any new monetisation model? Well, I cannot discuss revenues. And right now, we are not focused on monetising. We want companies to participate by sponsoring prizes. We have seen sponsorships by Indian companies such as Sasken and Neev Technologies, which is encouraging. We want to make Gild.com a utility for developers â€“ that is our focus. How are you driving traffic to Gild and drawing users? We have a nation-wide campaign called Tech Idol for promoting Gild. There are monthly Gild meet-ups and other online promotional activities taking place. Meet-up is an offline event, a culture which is prevalent in the Silicon Valley, which we want to replicate in Bangalore. It's a learning, interactive session primarily to engage with developers. Do you plan to launch offline contests as well? We are not doing anything offline. If I have to do an offline event, engagement with developers gets a classroom/exam feel, whereas online events and challenges give you freedom.